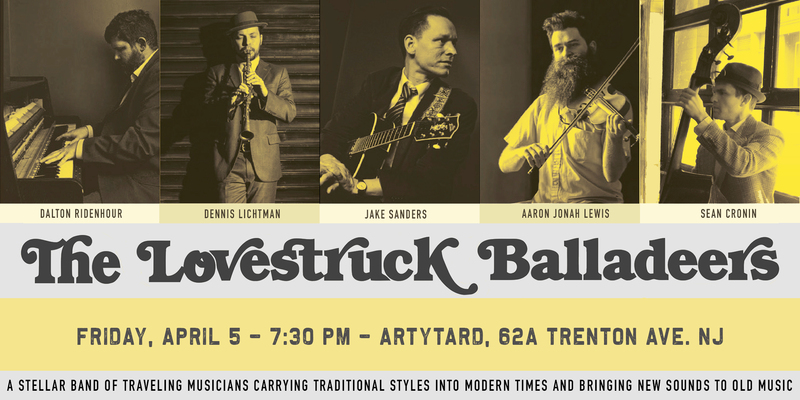 The Lovestruck Balladeers bring traditional music into the 21st century with all the energy of a train disaster. They might whip out a lost melody from a forgotten mandolin folio or they might play a Mexican waltz. They might push into a renegade re-arrangement of a swing standard or get down with a country rag. They are the five scorpion sons of a West Virginia dance hall, a Little Italy tourist attraction and an Oaxacan birthday party. You might find them in Japan or busking in the New York City subway. You might find them on a grand stage or in an underwear drawer next to a box of Cuban cigars. You might find them on the Brooklyn Bridge in rain-soaked November, ambling cool and wet to their next gig. The past never sounded so palpable. 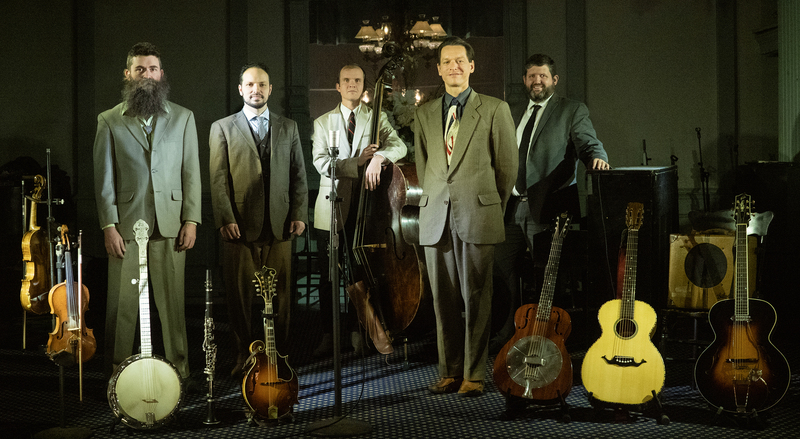 The Lovestruck Balladeers are Jake Sanders, Aaron Jonah Lewis, Dennis Lichtman, Sean Cronin, and Dalton Ridenhour.